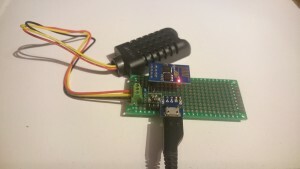 I learned how to program ESP8266 so I created my first temperature IoT ESP8266 project. 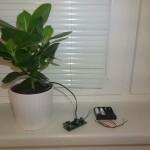 I used DHT22 as a temperature and humidity sensor and also I did some testing of power consumption using LIGHT SLEEP (LIGHT_SLEEP_T) mode on ESP8266. 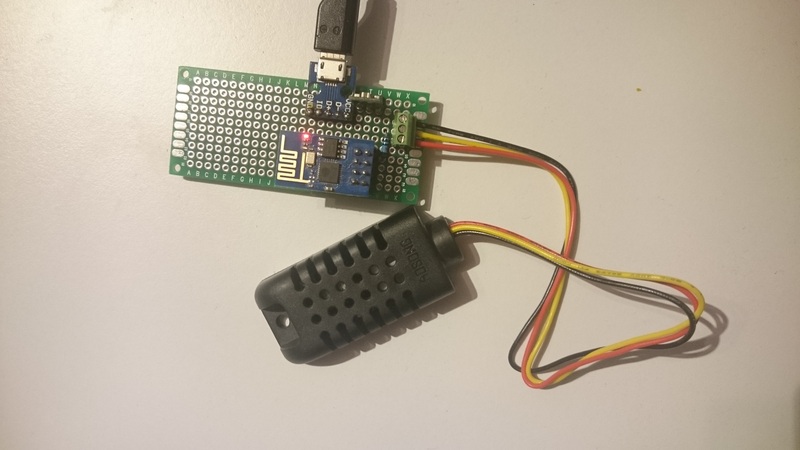 As a good example I found Adafruit esp8266 temperature/humidity webserver. So you can connect a 3.7 volt LiPo battery, 5 volt “Cell Phone Recharger” battery, or 9 volt battery. You may also use a 5 volt “wall wart” power supply. 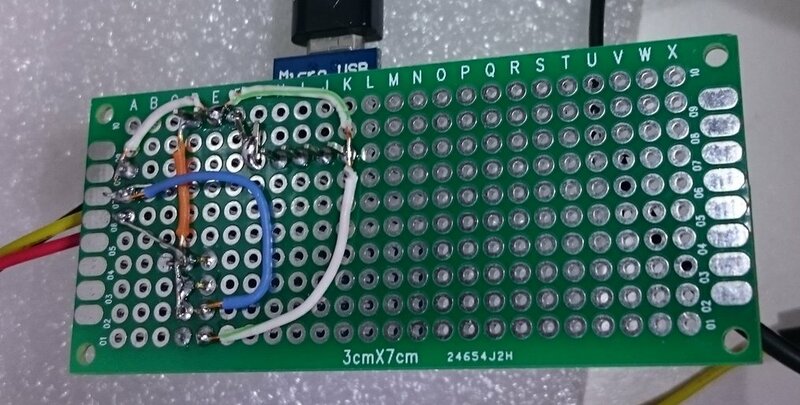 I connected standard USB (USB Micro-B Connector Breakout Board) so I could use my old Cell Phone Power Adapter. 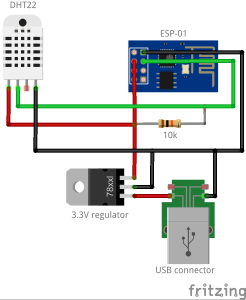 If you do not have the ESP8266 programmer you can use a wiring inspiration from Adafruit wiring page or check my post how to easily wire and program ESP-01. Check my previous post to configure your arduino IDE for programming ESP8266. I will not post here the server part (maybe later on, I assume you have one or you can just use some cloud IoT server e.g. data.sparkfun.com, dweet.io). 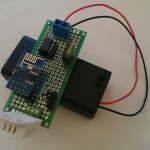 My sketch demonstrates a simple sensor read and an HTTP GET call to send data to the server . 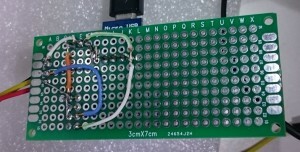 There is a special library for DHT22 or DHT11 for ESP8266. I used Adafruit DHT-sensor-library, so you can download it from github. Normal delay sleep draws 80mA current also with WiFi.disconnect(); but ESP8266 with this LIGHT_SLEEP code draws approximately 10mA current (floating from 3mA-30mA). With the Arduino ESP8266 2.0.0 version library, the sleep mode works only if wifi is NOT disconnected (strange but confirmed by experiments). 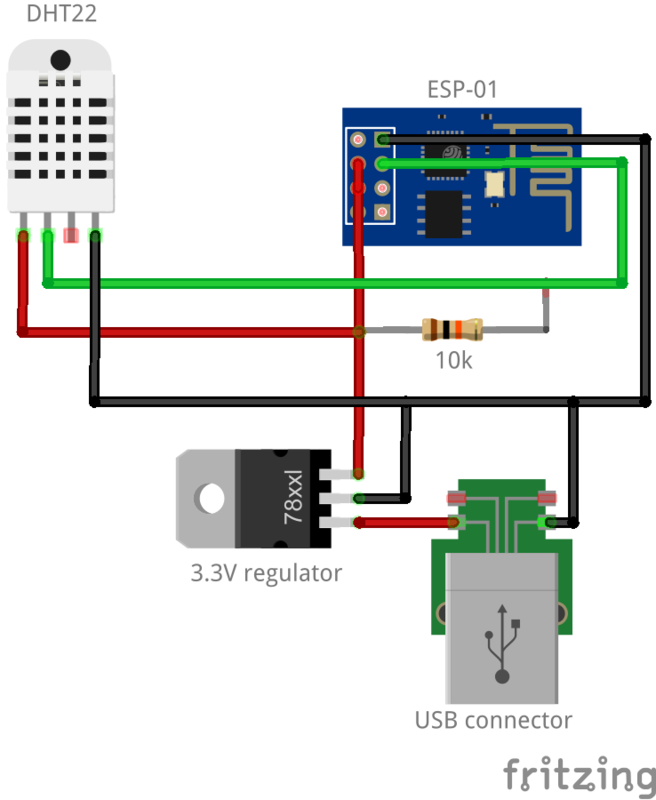 There is some info also in ESP8266 github discussion. This code works with Arduino 1.6.5 IDE and with ESP8266 2.0.0 platform lib. //WiFi.disconnect(); // DO NOT DISCONNECT WIFI IF YOU WANT TO LOWER YOUR POWER DURING LIGHT_SLEEP_T DELLAY ! 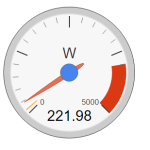 Check my latest ESP8266 project running from the battery!